DM Metalloys Pvt. 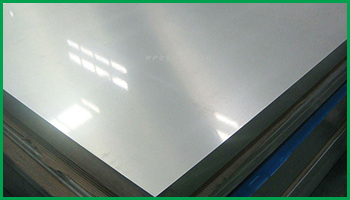 Ltd. is a great dealer, manufacturer, supplier and exporter of stainless steel 2b finish 304/304l/316/316L sheets. 304 Stainless steel - a grade that is often purchased as a "304/304L dual certified stainless" and is a very low carbon austenitic chromium-nickel steel with good corrosion resistance and superior resistance to intergranular corrosion following welding or stress relieving. 316/316L has the low carbon content limits the formation of harmful carbides to such an extent that this grade may be safely used for most operations of welded building, and where the service temperature is limited to 800 degrees F. Our 2B finish 304-304L-316-316L is provide at very large scale. DM Metalloys Pvt. Ltd. Supplies Stainless Steel 2B Finish 304/304L/316/316L Sheets in Faridabad, Gurgaon, Gurugram, Gaziabad, Noida, Lukhnow, Delhi, Delhi NCR, Ludhiana, Amritsar, Chandigarh, Jalandhar, Baddi, Punjab, Uttar Pradesh, Haryana, Mumbai, Pune, Sahibabad, Meerut, Manesar, Bhiwadi, Bawal, Neemrana, SIDCUL, Sonepat, Ambala, Mohali, Panchkula, Kapurthala, Bareli, Kanpur.